Rodolfo Chapa, Jr., was born in Hammond, Indiana, on November 7 1957. He graduated from Hammond High School in 1976, where he excelled as an athlete. Chapa won the Indiana state cross-country championship in 1974 and 1975. In 1976, he set the US high school national record for the 10,000 meters, a record still standing forty-two years later. He also won the Indiana state championship in the mile in 1976. His skill as a runner brought him to the attention of one of the premier collegiate track & field programs in the country, the University of Oregon. Offered a four-year scholarship, Chapa moved west where he continued to set records. At Oregon, he earned All American status six times, was NCAA 5,000 meters champion, and was the American record holder at 3,000 meters. As a true student-athlete, Chapa earned his B. A. degree (1981) in management, with honors. Chapa then returned to Indiana and enrolled at the Indiana University School of Law. He received his JD degree in 1985. Always the runner, while in law school he continued to compete and finished seventh in the 1983 New York City Marathon. After law school, Chapa joined the global sports management company IMG, where he would rise to Vice President. In 1987 he became President of Kiana USA, an international wood products importer, and in 1992 he joined Nike, Inc., where he was Global Director and Vice President of Sports Marketing. He later became Vice President of Nike.com. In 2001, Chapa left Nike and started his own investment firm Quixote Investment in Portland, Oregon. At the same time, he has pursued a variety of entrepreneurial projects including Student Sports, LLC, an event and media company, SPARQ, a sports equipment and media company, and Axon Sports, a sports cognitive training company. 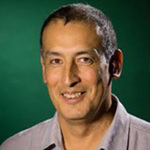 Chapa served as a Trustee of the University of Oregon from 2013 to 2018, has been a longtime member of the Board of Director of the USA Track and Field Foundation, and served as Director of his home town’s Hammond Education Foundation. Chapa was named University of Oregon Alumni Man of the Year in 2001,the same year he was inducted into the Oregon Sports Hall of Fame. Rodolfo Chapa, Jr., was inducted into the Indiana University Maurer School of Law Academy of Law Alumni Fellows in 2017. "Rodolfo Chapa, Jr." (1957). Notable Alumni. 140.